It is amazing how complete is the delusion that beauty is goodness. What do we eat regularly has a large impact on how we look. Since most of us are under the age of thirty that is no reason not to think about anti-aging issue now. One of the most important ways to look fabulous at the age of 40 is to take care of the skin at an early age. Taking smart fats such as omega-3 fatty acids and mono saturated fats help you to enhance the beauty of your skin at cellular level. Fish, avocado, and olives are the rich sources of such kind of smart fats. Before you can prevent skin aging it is essential to understand what exactly makes our skin to look older. Here are some reasons behind sagging skin, wrinkles and other factors which determine how old your skin looks. Lack of moisture: Most of the beauticians advise you to take more water. Dry skin is a symptom of aging. It is actually a sign that skin is not holding enough water for enzymes to work correctly. So stay always hydrated. Sun damage: The sun makes your skin look older than anything else. Basically a few minutes per day over the years cause age spots, leathery skin, wrinkles, blotchy complexion, and include, skin cancer. Pollution: Smog, car exhaust, and other pollution in urban areas is another enemy of skin. Pollution generates free radicals which are oxygen molecules that are stripped of their electrons. Smoking: Cigarette smoke is also a factor of skin aging. People who smoke are statistically more likely to develop leathery skin and wrinkles than non-smokers. Moisturise: Twice a day over your entire face apply moisturiser. Aging and dry skin loses its elasticity soon that is when wrinkles start to form. You may try Skin Medica Rejuvinative Moisturiser. It is available in the market for $54, It strengthens moisture barrier of skin to avoid the look of aging and dry skin. Cleanse: Daily wash your face both in the morning and in the night. But, control clear of cleansers that have high content of drying agents and alcohol. Exfoliate: Scale your skin regularly. That helps you to determine the result of different tips. The tip for which you yield good results can be followed regularly. Skin care is only a piece of solution for anti-aging puzzle. Healthy and fresh food that contains vitamin antioxidants can help protect against damage of free radical (Anti Aging Food). List of foods you should take for maximum anti-aging power is given below. Fruits: Mangoes, oranges, berries, papayas, cantaloupe. Vegetables: Leaf lettuce, squash, carrots, bell pepper, sweet potatoes. Oils: Vegetable oil, Olive oil. Author Bio: This article has been written by Maria Benson, a professional blogger. Currently working on ppi claims. Catch her @mariabenson10. Thank you Maria for the wonderful and helpful Article. 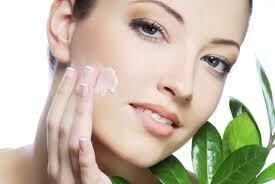 anti aging skin is a big problem todays, so dont be afraid, if u have read this article..